We try our best to publish class information at least a month prior to the class. If there is any missing information or class supply lists, please contact the teacher at the email listed on class info or the Stitch Studio. Class fees are approximately $10 an hour, depending on the teacher and materials supplied. Occasionally, we offer a free class that requires a kit or materials fee. You must register 7 days prior to class day. Registration within the 7 days prior is at the discretion of the Stitch Studio. Cancellation of class by the teacher or Stitch Studio will be announced as soon as we know. This kind of cancellation will offer you a full refund of teaching fee or store credit, your choice. Cancellation by the student more than 7 days from class day, you will receive a store credit for the full amount. Cancellation within 7 days from the class day, there is no refund or store credit. If the class reschedules, your paid fee will be applied to the same rescheduled class. We know the unexpected happens, but our teachers fees are paid if they prepared your class even if you couldn't attend and we appreciate your understanding. For multiple day classes, you may leave your machine and supplies in the classroom at your own risk. We will take every effort to lock and secure your belongings, but we are not responsible for any loss beyond our control. Each student receives a 10% discount on any class needs or any other regular-priced fabric, pattern or notion purchase on the day of the class. No other discounts apply. Learn to make a Collage quilt with Laura Heine Fabric Collage patterns. Instruction on Day 1. Leave your machine and materials out and work on it on Day 2. Can do one -day only for $50. Call the Shop. Come work on your projects together! Tables, cutting tables, ironing board, good light and fun fellowship with other quilters. Bring your lunch or pick it up. Water and Coffee available. $5 registration to hold your place. $5 discount on sew day. Come learn to sew. Work on projects like pillowcases, tote bags, aprons, baby quilts... and more. Join Cathy Bridge as she teaches you to use the Basix ruler to make a fun and easy 2 1/2" strip block quilt. It's amazingly easy with this wonderful tool... a complicated-looking block that's not complicated at all! Every 2nd Tuesday in Classe Grande behind the Studio. Come join us as each of us work on our individual embroidery or other handwork projects. No fee to join and open to all. Our Bee is associated with Wimberley Valley Quilt Guild that meets the 1st Wednesday of each month. You don't have to be a member of the guild to participate in this bee. Explore the techniques used to create your own Raw-edge Fusible Applique with a focus on the Horned Toad pattern. You can purchase and use any of Susan Cranshaw patterns, but we will be using the Horned Toad to teach the basic techniques. 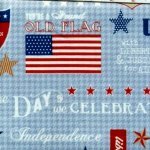 Bind Patriotic quilts for July parade and delivery to veterans. Ages 9 up who can follow direction and use scissors safely. One week of daily (1-3:30) sewing instruction and fun. Materials and snacks provided. Sign up by June 1 to receive $5 gift card for more fabric! www.fallfrolicshophop.com Enjoy scenic views of the Hill Country, decked out in her autumn finery, as you shop your way through Central Texas. Travel with friends, discover new quilt shops and have fun collecting free fat quarters and home decor patterns. Collect stamps at all 6 locations during the event and be entered to win our grand prize, a Singer Featherweight or one of 6 large gift baskets. Learn a Block Technique Every Month Starting in January, Patrice Mefley will be teaching a 2-hour class in which you will learn to make a dozen modern quilts in a year. We offer both children's and adult's classes, covering the basics of sewing. We also offer classes that teach a variety of specific quilting techniques. 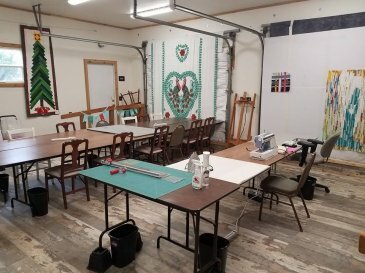 You can book a group class on a number of topics from beginning sewing or quilting to specific techniques. Check out the calendar for upcoming classes with openings or contact us at the Studio @ 512.808.0490.